Banana Republic is opening its brand new Fifth Avenue flagship on 105 Fifth Avenue tomorrow with 14,338-square-feet of shopping space. The new location will be the retailer’s 427th store nationwide and its 10th store in Manhattan. 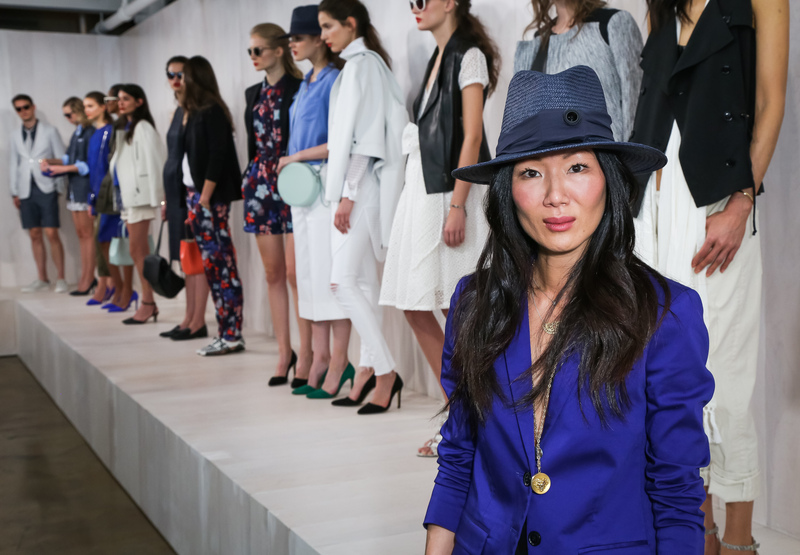 The new store will feature creative director Marissa Webb‘s “lab” concept, which includes some of Webb’s personal picks, on a grander scale and will carry her first full debut collection for the brand for summer. We happened to spot Webb outside of the lower Fifth Avenue retail location this morning as employees were busy inside styling the windows and getting the space in order. “Banana Republic has always been a lifestyle brand and this new store experience helps bring our journey to life,” said Webb in a press statement. “I love that we were able to infuse the new flagship with our personality, some unique Banana Republic product, as well as a few of my favorite brands to help tell our story.” The store will have an arty ambiance with inspirational quotes handwritten on the walls, artwork and curated third-party items picked by Webb. The latter will include skin car from Damn Handsome and Herbivore Botanicals, home décor from Grain Design, and leather goods from TM1985, to name a few. There will also be hand-painted designs created by the Banana Republic design team on select denim, sneakers, and notebooks plus, items that celebrate the new location like 105 candles, totes, and tees. Tonight, a select crowd of VIPs will attend a chic fête hosted by Webb, actress Jamie Chung, and Refinery29’s Christene Barberich to celebrate the two-story space located in a 1900s-era Beaux-Arts building in the Flatiron. Tove Lo has been tapped to give a live performance and DJ May Kwok will be providing the music for the rest of the evening. Be sure and swing by the new store tomorrow!